We have introduced a new news module for 2018. To view the news archive from previous years, please click here. Do you or your club tennis team have a great story to share? We'd love to hear about it - we're always looking for ways to promote you and your club tennis team in both local and national media outlets (i.e. magazines, newspapers, online sources, etc.). Just fill out our Club Tennis Team Media Questionnaire online and we'll do the rest! 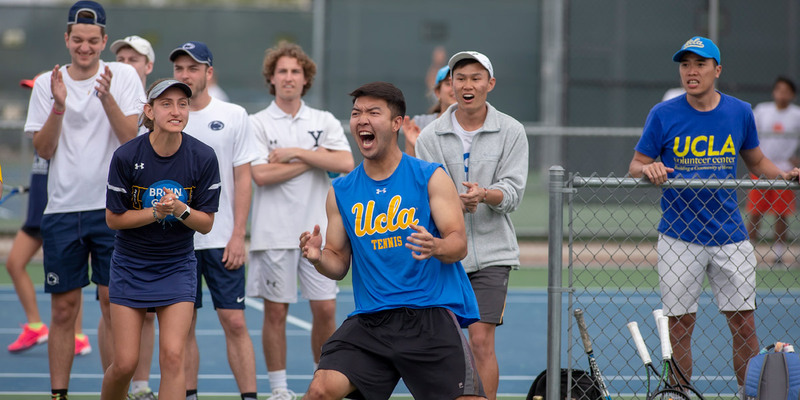 UCLA defeated the University of California, Berkeley in an all-California final that pitted the 2011 champion Bruins of USTA Southern California against the four-time champion Golden Bears from USTA Northern California. 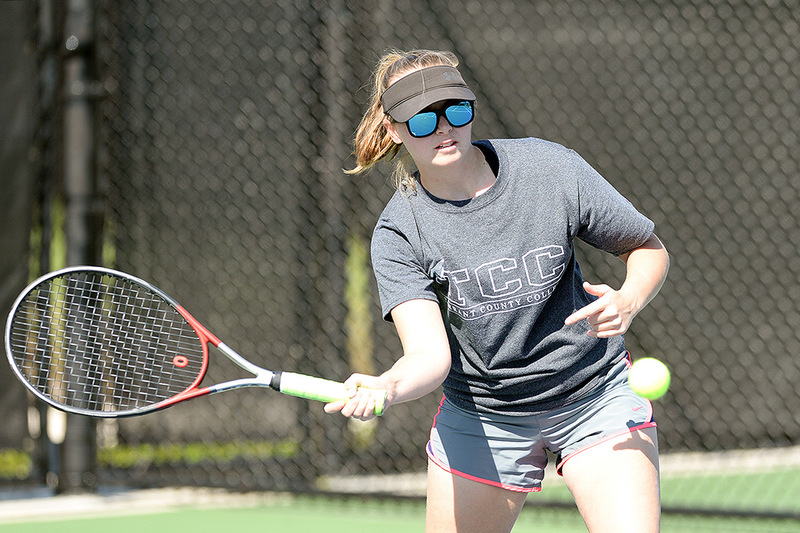 After Friday’s action that saw the bracket portion of the 2019 Tennis On Campus National Championship get underway, four teams emerged in the Gold Bracket that will vie for a national title on Saturday. The 2019 USTA Tennis On Campus National Championship got underway Thursday at the Surprise Tennis & Racquet Complex in Surprise, Ariz. There have been four different Tennis On Campus national champions in the past four years. It’s been five years since a team successfully defended its title, and it’s been more than a decade since a school won three in a row. Ohio State University is hoping to make the next run at a club tennis dynasty. 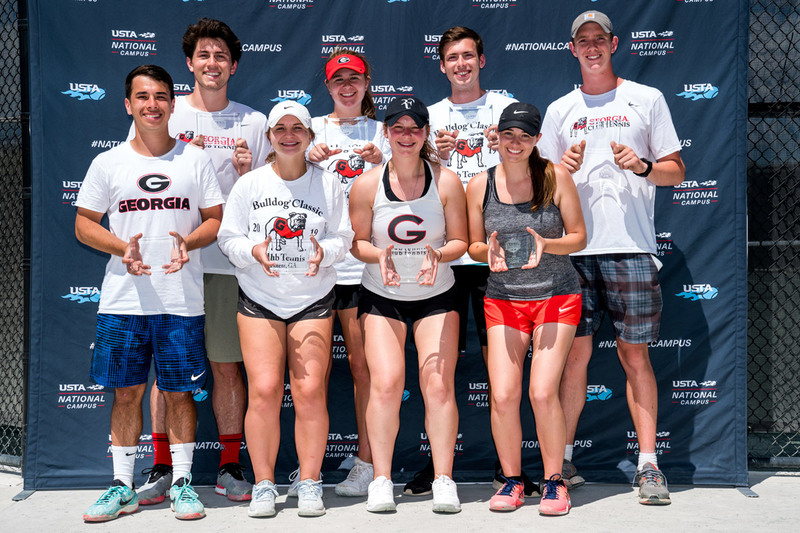 The University of Georgia capped a perfect week at the 2019 USTA Tennis on Campus Spring Invitational by taking home the title for the first time and guaranteeing a spot in the 2020 National Championship. Ohio State University capped off a remarkable Tennis On Campus season by defeating the University of North Carolina - Chapel Hill, 27-13, to win the 2018 National Championship in Orlando, Fla.
It’s been more than a decade since Michael Karka played his last Tennis On Campus National Championship match, but the memories and friendships he formed then are still just as strong today. On the court, club tennis is all about competing hard, having fun and making lifelong friends. Away from the baseline, the emphasis is on giving back to the community and making an impact in the lives of those less fortunate. Even though the University of Maryland Baltimore County won’t win the 2018 Tennis On Campus National Championship title this weekend, one player on the squad is still working hard to make sure she aces her final school paper. 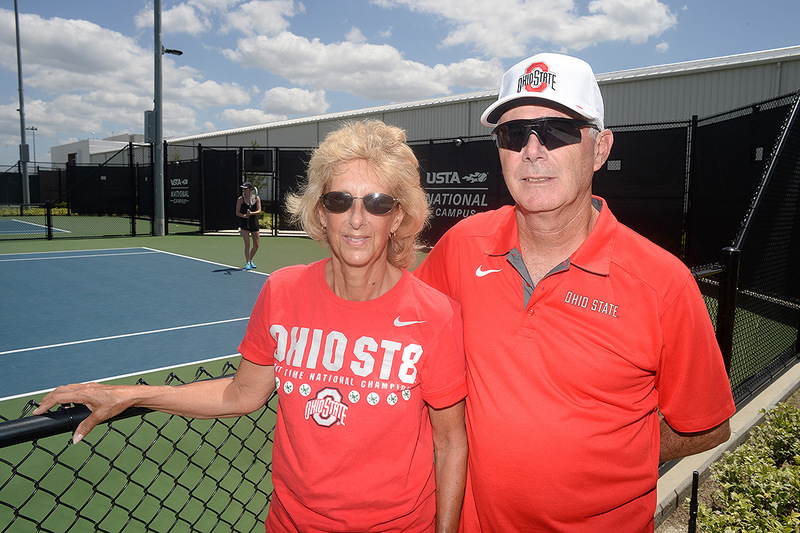 As Ohio State’s club tennis team goes in search of a National Championship, the person who founded the club 40 years ago, Jim Flath, is on the sidelines with wife Kathleen cheering his alma mater to glory. 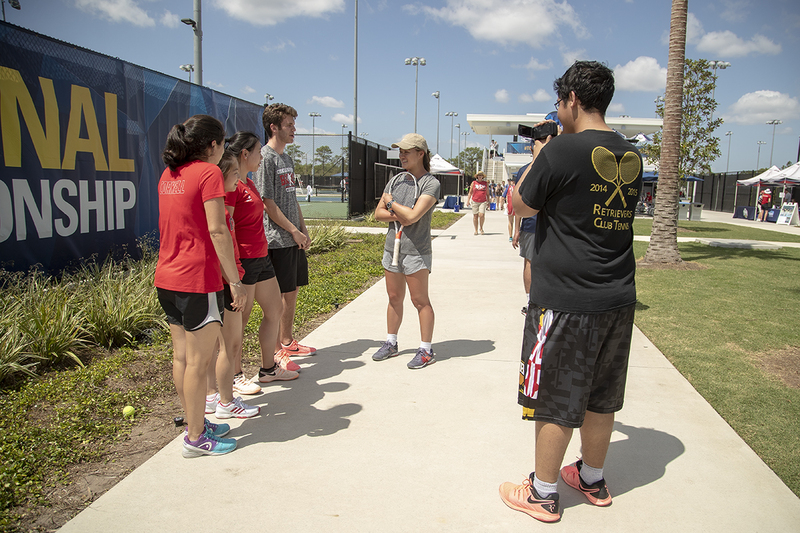 The Tennis On Campus National Championship semifinals are set at the USTA National Campus after an exciting second day of competition in the Sunshine State. Nisha Bhuva has played tennis her entire life. Now a senior at Northwestern, club tennis brings everything full circle from when she got her first taste of the sport playing Junior Team Tennis in Tennessee. With just six players on the roster and the No. 3 seed in a four-team pool, the chances of the University of Maryland making a deep run at the 2018 Tennis On Campus National Championship were slim. But behind some outstanding doubles performances and a late rally against the top seeds, the Terrapins from College Park, Md., are moving on to play for a title. While confidence was growing inside Northern Arizona University’s club tennis team last spring, few of its players could have anticipated being in a position to compete for a national title. After coming so close to a title twice in the past three years, University of North Carolina - Chapel Hill senior Connor Cooke is looking for one final push at a National Championship. 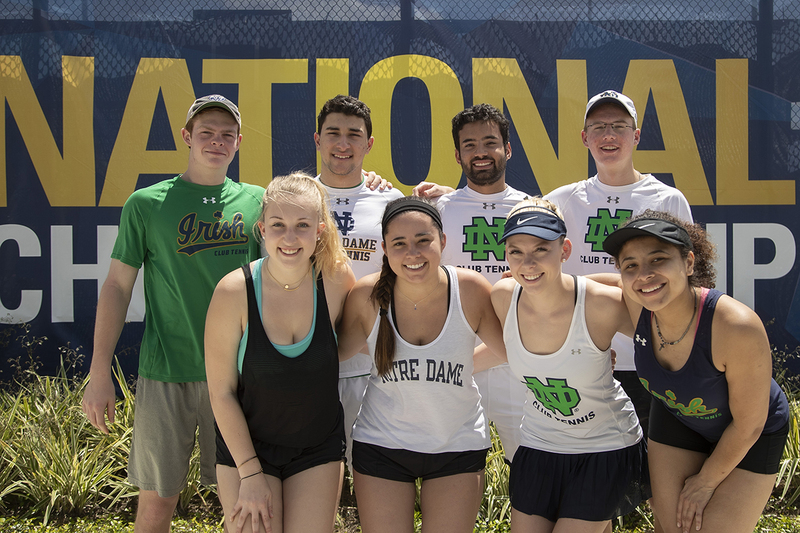 For five collegiate programs making the journey to the Tennis On Campus National Championship for the first time, the three-day showcase of coed club tennis is more than just another tournament. March may be over, but that doesn’t mean the madness has to stop. But remember: at the Tennis On Campus National Championships, ‘nothing but net’ isn’t a good thing. Michigan came out of nowhere to win the 2017 National Championship. Even though this year’s team is different from the one that lifted the trophy last spring, the sense of self-belief instilled 12 months ago remains. 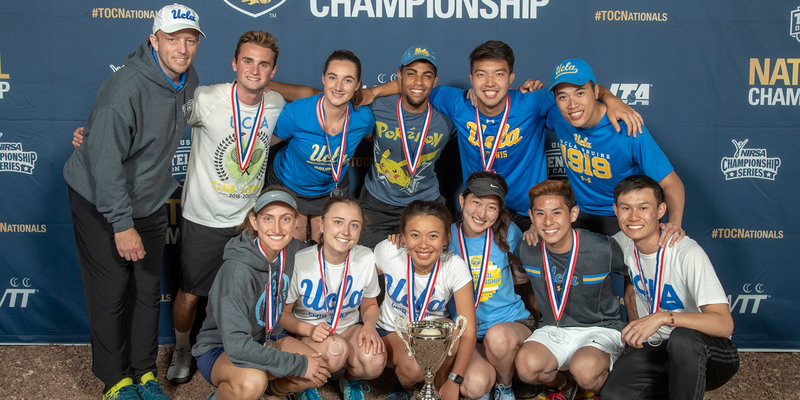 The University of Michigan will begin the defense of its title against Villanova, but there are no shortage of other contenders as the top 64 club tennis teams compete for the National Championship in Orlando. The USTA is ready to start the new season, make sure your team is too! We've got new grants, team profile updates, and much more for you here.